Are you sick of being told “You look tired”? 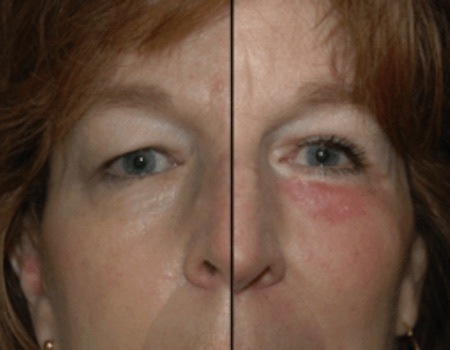 Unhappy with the effects aging has had on your eye area? It may be time you considered eyelid surgery in the Washington, DC area. Eyelift surgery, also known as Blepharoplasty, is a surgical procedure that removes the excess tissue around the eyelid area to create a more youthful appearance. Eyelift surgery takes about 1-2 hours with a recovery period of 2-3 weeks. No overnight hospital stay is required. Ideal candidates are typically in their early thirties to late sixties, are non-smokers or willing to quit smoking prior to, and for the duration of, the recovery. Candidates should also be in overall good health and have realistic goals in mind for their expected appearance. The American Society of Plastic Surgeons goes into further detail on this procedure if you’d like to learn more. When it comes to the delicate area around your eyes, choose an expert plastic surgeon like the doctors at Bruno | Brown Plastic Surgery, who are knowledgeable and experienced in their field. The doctors at Bruno | Brown Plastic Surgery take a holistic approach when it comes to eyelid surgery and will take into account all your facial features in order to achieve the most beautiful and natural results possible. They value patient interaction and will be with you every step of the way- from your initial consultation through the recovery process, unlike many doctors who will siphon off work to staff members with less training.